Clouded Leopard National Park is a national park in the Sipahijola Wildlife Sanctuary Tripura, India. It covers an area of about 5.08 square kilometres (1.96 sq mi). ^ "Tripura to set up National Park for Clouded Leopard". Oneindia.com. 11 May 2007. Retrieved 23 April 2019. ^ "Protected area network in India" (PDF). Ministry of Environment and Forests, Government of India. p. 28. Retrieved 2 April 2012. This article on a zoo, aquarium, safari park, dolphinarium, or aviary is a stub. You can help Wikipedia by expanding it. 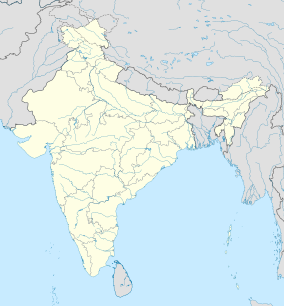 This article related to a location in the Indian state of Tripura is a stub. You can help Wikipedia by expanding it. This page was last edited on 23 April 2019, at 10:11 (UTC).